A grain, alfalfa and molasses free diet. Ideal for horses with insulin resistance, Cushing’s, EPSM and PSSM, requiring additional calories or tend to have allergies. Also ideal for HYPP horses. Formulated specifically for mature horses, Triple Crown Low Starch is a pelleted low starch and sugar (NSC) feed for horses requiring a lower diet for metabolic reasons or for horse owners seeking calmer behavior from horses. Featuring fewer carbohydrates than hay and pasture, Triple Crown Low Starch can be used as a complete feed to replace all or part of the forage portion of the diet. 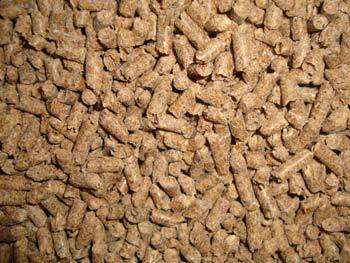 This feed is also suited for those who tend to have allergies, ideal for HYPP horses as the feed contains a low potassium level and works well for senior horses in winter in order to avoid the bricking of textured feeds. Find out why Triple Crown Feeds are superior, Watch our Video! Triple Crown Low Starch can be fed to all horses one year of age or older. Feed enough Triple Crown Low Starch to maintain desired body condition and energy level along with hay, and/or pasture, water and salt. If feeding less than 6 pounds per day of Triple Crown Low Starch to horses weighing 900 pounds or more, also feed additional minerals and vitamins supplied by either Triple Crown 30% or Triple Crown Lite. Triple Crown Low Starch is a complete diet and can replace all or a part of your fiber portion of your diet, however, we strongly recommend that you continue to feed a portion of your diet in long stem hay or pasture. NOTE: Provide plenty of fresh, clean water at all times. Keep product fresh in cool, dry storage. Examine product daily for mold or insect contamination. DO NOT use product that is old, molded or insect contaminated. My 25y/o paint randomly stopped sweating last summer and I have been battling it ever since. I have tried over the counter meds, supplements, beer, etc and nothing was working. I had never had him officially diagnosed with cushings but my vet said it could be the cause of his non sweating. So he suggested that I switch his feed to a low starch feed. I already feed my guys Triple Crown Senior (and love it), so I was excited to find that Triple Crown offers a low starch feed and that it is more affordable than other low starch feeds I had been researching. After 1 week Triple Crown Low Starch he started sweating!!!! I couldn't be happier. I honestly cried LOL I hope he keeps this up and continues to sweat. Thank you Triple Crown for a great product! My 6 yr old mare was unable to eat any other product until we found triple crown low starch, it is amazing no more upset gut, and she looks amazing. Also my 15 gelding can eat it also as anything else made him crazy. Thank you for such a great product. My arab was getting stomach problems with regular sweet feed so I switched him to triple crown low starch and have had no more problems since. My 37 yo gelding loves his low starch feed and I really love knowing that I'm feeding him something that won't kill him...due to Cushing's disease complications. I've been purchasing Low Starch feed for 20 years now and the feed is always fresh, dry, and very aromatic. Thank You Triple Crown!! Thank you Triple Crown Feeds! I have been feeding Triple Crown Senior to my mare since she had colic surgery in 2002. Most people cannot believe she is 17 this year. There is no need for vitamin supplements, just good hay and pasture. I have tried other Senior brands and there is no comparison! My other mare is on Triple Crown Low Starch, it keeps her energy level manageable and she looks great. Never have to worry about the formulas changing like some other brands! Thank you Triple Crown Feeds!